Knee immobilizer reduces patella movement and provides targeted patellar tendon compression. Helps support sore, weak, injured or post-surgical cases as advised by the physician. They can be used to immobilize an unstable joint or fracture by unloading a portion of a joint thereby improving pain and function. 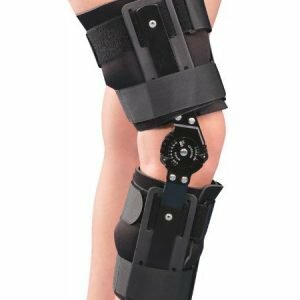 Knee immobilizer 19 is also used to modify the range of motion in one or more directions especially useful in valgus deformity of knees. The duration of immobilization and management of these conditions is variable, but it’s not recommended for prolonged use. 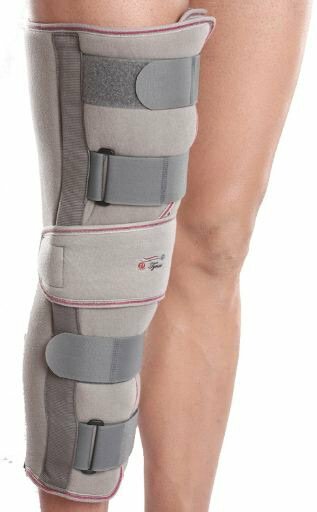 Knee immobilizer 19″ An excellent brace to immobilize, support and protect the injured or operated knee while it recuperates. Anatomically contoured Aluminum back splints are light in weight and are comfortable, but very rigid and durable. 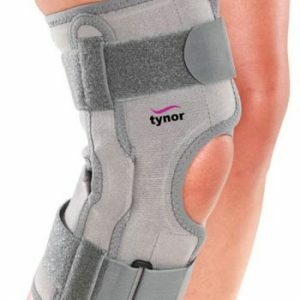 They ensure good grip and perfect immobilization of the knee. 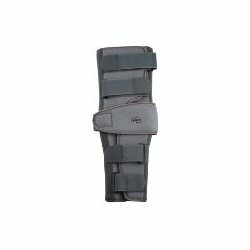 The side splints with relief improve immobilization, without any hot spots on knee protrusions. Body of PUF fused fabric is durable, ensures proper cushioning and enhanced comfort with anti-slip properties. 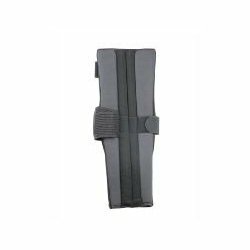 Reverse buckle design provides strong locking force and customized compression. It is easy to wear. 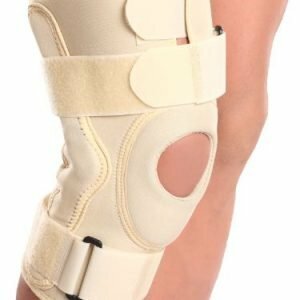 Extra Patellar strap improves immobilization, offers extra protection to the knee and is removable when not required.